When it comes time to selling your estate jewelry, it is important to work with knowledgeable, helpful professionals that have your best interests at heart. Whether you are selling an antique ring or inherited jewelry, you deserve the very best. Using our auction platform, we attract hundreds of professional buyers to compete for your estate jewelry. We even go the extra mile; cleaning, authenticating and photographing your jewelry prior to auction. From start to finish, we are fully committed to getting you a great price when you sell estate and antique jewelry, while ensuring an easy, secure process. Why Sell Estate Jewelry With Worthy? Simply put, it is Worthy’s core values that set us apart from the rest. Your peace of mind and satisfaction are of utmost importance to us, something we work to provide with every step of the auction process. From the moment you send in your estate or antique jewelry, you can rest assured that it is fully protected by insurance as well as an air-tight transition from grading to auction. In addition to the protections we offer, we also seek to add as much value to the overall experience and the auction result itself. To estate jewelry buyers, it is imperative to know that what they are buying is an authentic piece. When a buyer is unsure, they may make a lower offer to leave room for doubt. At the same time, many sellers of antique and estate jewelry have a hard time authenticating and properly describing pieces on their own, leaving them reliant on a potentially biased jeweler or appraiser. We address this issue head-on by providing full grading from GIA and GSI labs, ensuring transparency on all sides. Furthermore, the professional grading provides far more detail, breaking down the characteristics of each piece and the valuable components. This increases buyer confidence, and ultimately the offers at auction. Describe your jewelry piece to the best of your ability. Based on the provided information, we'll give you an estimated trending price. When your jewelry arrives we will photograph it and have it professionally graded at the GSI laboratory located near our offices. The report and professional photos will be made available to you and the buyers interested in bidding on your items. When selling estate jewelry it is important to know the different kinds of pieces there are and how they are classified. Estate jewelry is defined as any jewelry that is pre-owned, however it is most often used when discussing items belonging to a deceased individual as a part of their overall ‘estate’. Antique jewelry is a term for jewelry pieces that are at least 100 years old, and can in itself include other classifications. For example, Art Deco jewelry is at this point considered to be antique. While fine contemporary jewelry is very popular and is always in demand, it is also abundant. Rare estate jewelry is usually unique and many pieces are one of a kind or are among just a few known to be in existence, making it even important to know what you have. Family heirlooms, particularly jewelry, can be incredibly valuable depending on their time period, condition, rarity and other factors. Antique rings have become popular items owing to their uniqueness and beautiful craftsmanship. The value of antique rings can be more difficult to determine and can be very subjective. That is why at Worthy, we do not assign a value to your estate jewelry pieces. Rather, we have them professionally inspected and let result of the auction do the talking. 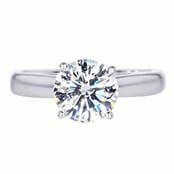 We have partnered with the world's top grading laboratories, GIA and IGI, to enhance buyer trust and ensure that you receive the best possible value when selling your items. Additionally, we will find the right buyers who are interested in antique and estate pieces, thereby making it much easier for you to get a fair price for your antique ring. Before your item is put up for auction, a number of factors will need to be evaluated to determine its true market value. Rarity - The most important factor for selling antique and estate diamond is determining their rarity. Even if the piece is only in fair condition, if it is rare its value can still be fairly high. The professionals at Worthy are exceptionally knowledgeable about the jewelry industry and will be able to determine its rarity. This is an important step in evaluating the market price of such an item. 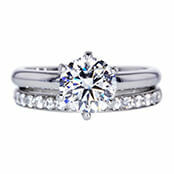 Condition - The next important consideration used to determine the value of your antique ring is its condition. The expert will look at the ring to see if any stones have been replaced or are missing from the piece. Antique rings that are no longer in their original state can lose much of their value. The wear in respect to the item’s age will also be evaluated. As you may expect, antique pieces that have a great deal of wear generally have less value than those in more pristine condition. While your jewelry will be cleaned before it is evaluated, if there is foreign matter that cannot be removed that will affect the value of your item. Finally, the evaluator will determine if the jewelry has any discoloration, pitting, moisture damage, damage from temperature, greening and other imperfections. Overall Quality - The actual gemstones and precious metals that compose the piece pays a role in the value. Sometimes certain adjustments can cause damage to the parts, lessening their individual value. 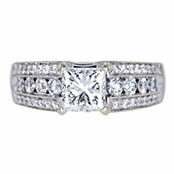 Antique rings that are still in their original state will generally be more valuable than modified jewelry. If you plan on selling an antique ring, it is important that you do not alter it because in most cases this will only decrease the overall value. If your ring is in need of repair, it should only be repaired by a professional so it is not damaged or significantly altered. Additionally, if you need to resize your antique ring, it should only be done by a professional and the alteration should be nearly invisible. Top gemological grading- As mentioned earlier, a graded piece of jewelry is inherently more valuable due to increased buyer confidence in its worth and their offer. No logistics required- From shipping to grading we’ve got you covered. Not only do we insure the shipment, but we’ll also arrange a free FedEx pickup whenever it’s convenient for you. HD 360 photographs- In order for your jewelry to stand out and get the offers it deserves, we have our professionals photograph your piece from every angle in the best lighting and quality. Many sellers have different reasons for selling estate or antique jewelry, some of them simply do not wish to wear or use the pieces, and others wish to make the most of their value for a specific expenditure. Some even use the funds for a memorable trip or to build a future dream. If you are debating this option, we invite you to read this inspirational piece.